LIMA – Grab your Lederhosen, Sunday Jun. 11 is the 84th annual Traditional German Festival. Lima’s German Club President, Michael Falk, is excited about this year’s event lineup. 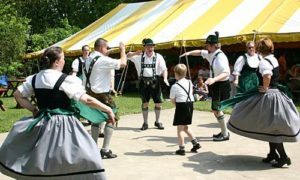 The Rochester Schwaben Verein had a folk dance group that was active from the early 1950’s to the early 1960’s, but then discontinued performances. They revamped in 2016 and are just now beginning to perform again. Lima’s German Festival is organized by the local German club, which exists to help people understand German culture and its local history. “The club’s purpose is to provide sort of a glimpse into German culture and community in the area,” Falk stated. 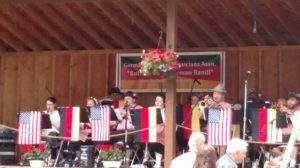 According to Falk, the club has been putting on the Traditional German Festival for all 84 years. The festival will take place at 2375 Pond Road in Lima from 11 a.m. to 1 p.m. A $5 donation is requested for attendees. Children 16 and under are free.